In order to breathe, people have begun to move. President Obama met with some of the demonstrators in the White House, where 20-year-old Rasheen Aldridge Jr., director of Young Activists United St Louis, said they made it clear “that we are in crisis.” He added, “It is a crisis when a black American can get locked up for traffic fines, but police officers are rarely prosecuted for killing unarmed children.” The president, as another attendee later reported, “cautioned us against demanding too big and stressed gradualism. He counseled us that the wheels of progress turn sluggishly.” The Justice Department has launched special investigations into the killings of Brown and Garner. The president has announced that he will push for putting cameras on police and has convened a Task Force on 21st Century Policing with instructions to report back in 90 days. 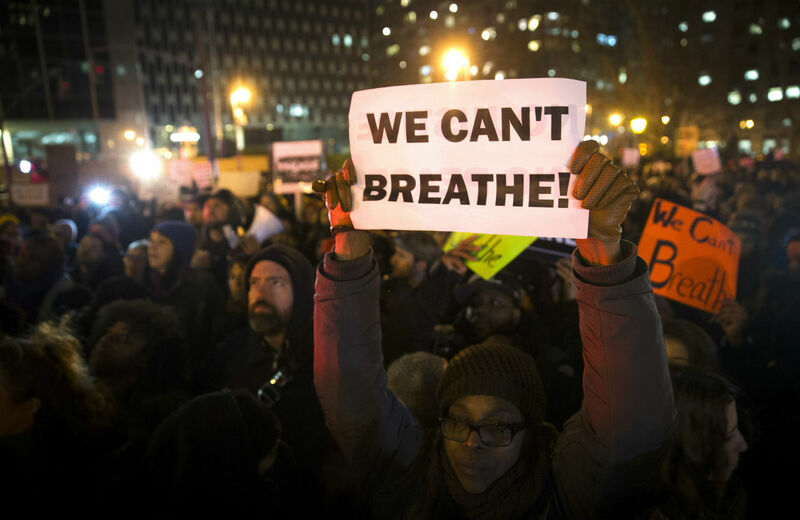 The deaths of Garner, Brown and others at the hands of police are not the only cause sparking mass protests. The day after the Garner demonstrations started, low-wage workers walked off their jobs in more than 190 cities, demanding a living wage and the right to organize. They, too, chanted, “I can’t breathe.” Workers from fast food-restaurants such as McDonald’s were joined by those from low-wage retail and convenience stores and airline service jobs. In Washington, federal contract workers joined the march, calling on the president to issue procurement regulations that would reward good employers that pay a living wage with benefits and allow workers to organize and bargain collectively.